Search at Google.com>> Free Fake email Services, You will get many. Download the script for sending Fake Emails from here. You will need a hosting not ordinary one this script will work on such hosting which allows to send emails. One of them is x10hosting.com other you may use is 000webhost.com. Further search google. Make account at above hosting any of the one and upload you script. Now navigate to, www.youweb.com/sendmail.php and Just fill the fields and send emails. >>A paid hosting is good for this purpose. Note: Don't use this to spam. Hackers Thirst is not responsible for bad usage of this script. To learn how to upload your files to free or paid hostings go here. 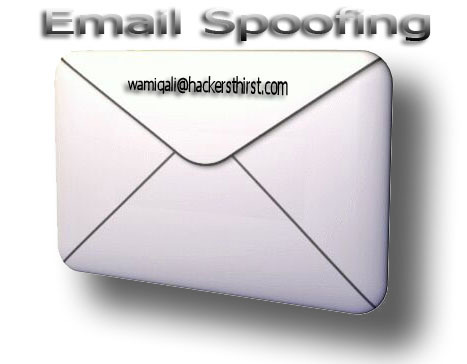 Why Hackers Use Fake Emails? a) The main reason is fraud. They can fool you by using your boss email id and sending a warning that do this or else you will be fired. etc. Further you have common sense you can estimate that how these fake emails can be used. So, Always be sharp enough to catch such emails and always look at browser URL after clicking such links like login from here etc. Well practically, Why someone will ask you to login to Gmail, Yahoo, Msn or facebook from an email?